Apples, strawberries, tomatoes, oh my! 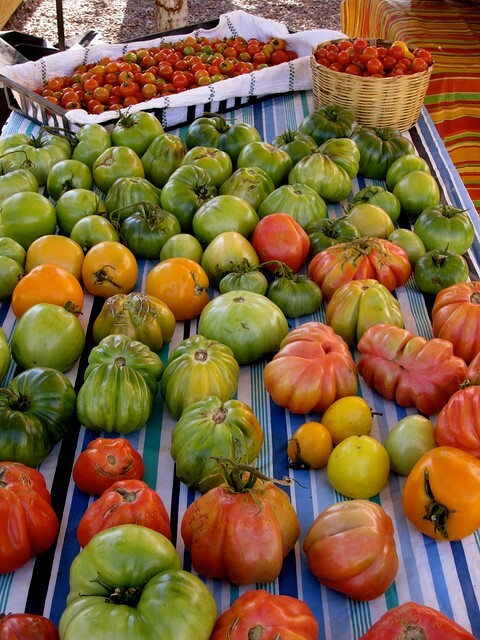 Fresh fruits and vegetables are just a farmers market away from your AZ RV parks. Buying local produce is a great way to support local farmers as well as bring some fresher foods into your life. Here are some of the pros of buying local from one of your favorite Arizona RV Parks! 1. Locally grown food just tastes better. By buying local, you are guaranteed the freshest fruits and vegetables possible. As opposed to food from a grocery store that may have traveled days to reach its destination. Locally grown food has been picked hours before you place it in your basket. The longer it takes the fruits and veggies to get to you the more nutrients it loses along the way. 2. Local foods build community. 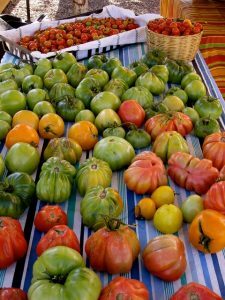 By getting to know the local farmers, you will truly understand the beauty of these fabulous foods. A farmers market is a great place to get to know the locals and it is a great way to spend a morning. 3. Local produce promotes genetic diversity. While large commercial farms grow a smaller number of hybrid fruits, our small local farms grow numerous hybrid fruits in order to extend their grow season. These hybrid fruits provide us with beautiful colors and unique flavors. 4. Local foods help support local farmers. Buying local produce helps preserve the American Farmer. It is extremely difficult to make a living as a farmer today and by eliminating the middle man and buying fruits and veggies directly from them it puts more money in their pocket. 5. Local foods are about the future. Supporting local businesses and farmers secure them a place for the future. To keep fresh foods in our lives for many years to come it is important to support the growers who make a living providing the best produce. Keep the fresh food in your life and buy local!